High Intensity Interval Training or HIIT Does it Work for Weight Loss? Jason Callahan has been professionally training others for seven years. He’s also competed as an NPC Bodybuilder from 2014-2018. While competing he earned his degree in Exercise Science from the International Sports Science Association. As a trainer he has worked with professional athletes, law enforcement, and military personnel. He has used his personal and professional training experience to assist others in their fitness goals whether it’s losing weight, gaining muscle, or improving overall health. 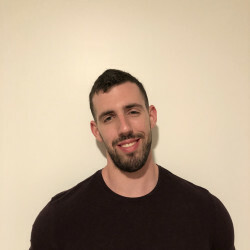 Working both in gyms and privately he has worked with a wide range of clients with many different and unique fitness goals. Jason personally trains as a bodybuilder/ power lifter but he tailors each of his programs for his clients individual needs. He enjoys not only putting his clients through the workout but educating them throughout the process. His ultimate goal is to give his clients the tools they need to be successful on their own.